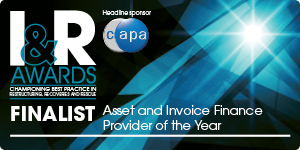 The team at Gener8 are thrilled to announce that we won the award for “Asset and Invoice Finance Provider of the Year” at the I&R Awards ceremony, held at the Hilton, Park Lane on Wednesday 21st October. Pictured below are Karen Fisher, Kirsty Cook, Ian Wedge and Paul Stokes from Gener8, collecting the award on stage. Although only a few of us could attend the event to collect the award, this was a real team effort and we are pictured above bringing the prize home. At Gener8 we know that even strong, established businesses can sometimes experience cash flow problems. We have the knowledge, experience and desire to help owner managers operating in a wide range of sectors, to grow their businesses. 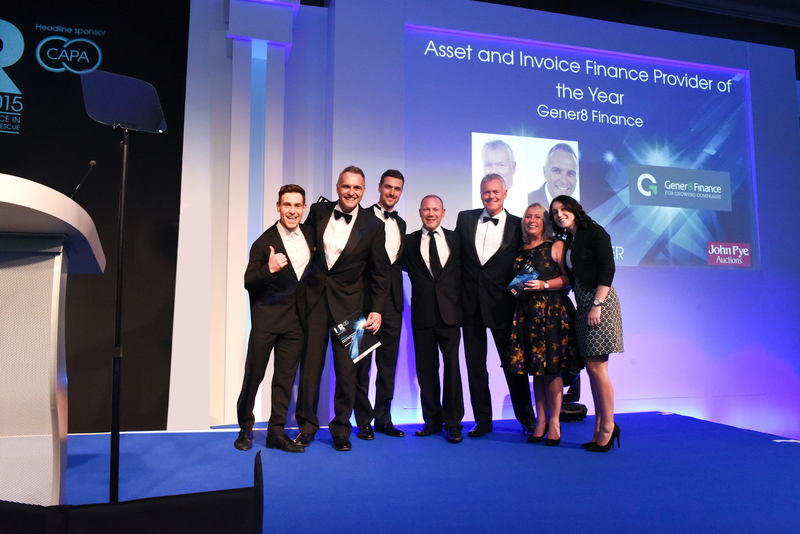 If you would like to discuss your invoice finance needs and requirements, or know of a business/business owner who would really benefit from our services, please contact our team in the office by calling 0333 121 8888 or via our website http://www.gener8finance.com/ and one of our team will be happy to help. A recent study has discovered that an incredible 73 percent of business owners have no contact with a relationship manager at their bank. A bank account is a fundamental requirement for any business – we literally couldn’t do business without one – and it appears that the banks are missing out on the opportunity to build enduring relationships with their customers. For many business owners, the days of a visit from a friendly, knowledgeable bank manager are a thing of the past, replaced instead by the full call centre experience. It’s therefore not surprising that 67 percent of those surveyed are actually happy to look beyond their bank when seeking finance. Even though access to finance for SMEs remains high on the political agenda in the wake of the banking crisis, British businesses have never had so much choice when it comes to raising finance. The continued rise of peer to peer loans, online (“fintech”) lenders and general competition in the alternative finance space means that the bank is just one funding option open to a director. Communication and trust play a key role in any business to business relationship, and without that regular ‘touch point’, how do businesses benefit from the advice and support of a lending partner? With the major clearing banks adopting a passive approach to the majority of their business customers, offering basic services and minimal face to face advice and support, it is not surprising that businesses are shopping around when it comes to raising finance. The attraction of a smaller, independent funder offering high quality relationship management is clear. Here at Gener8, clear, 2-way communication with our clients is a fundamental aspect of the relationship. This enables us to anticipate their requirements and provide the right support at the right time. By sticking to our core values of great value client service, we are driven to meet the needs of business owners, who demand a real business relationship. 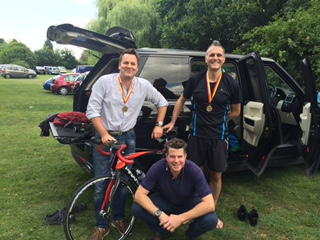 The Brentwood office of FRP Advisory, recently held its biggest-ever fundraising campaign – a charity triathlon, inviting members of the business community to take part. The event, which attracted over 140 competitors, comprised of a 400m open-water swim, followed by a 20km bike ride and a 5km run. 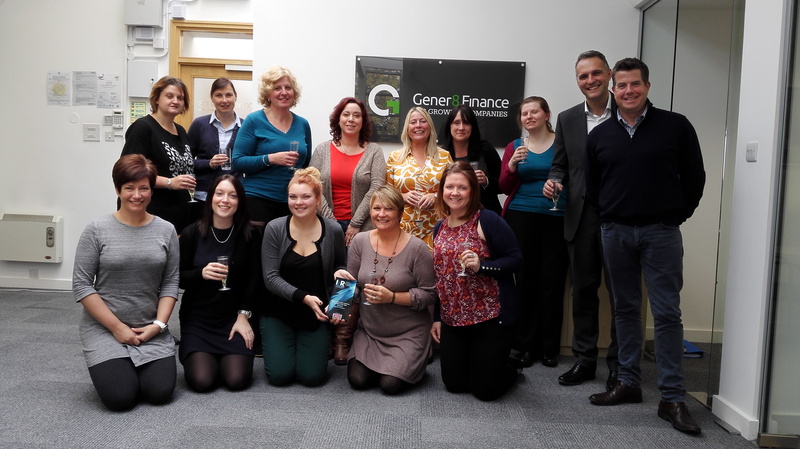 Gener8 Finance, who co-sponsored the event, put in a team and came in a creditable 9th out of 38. 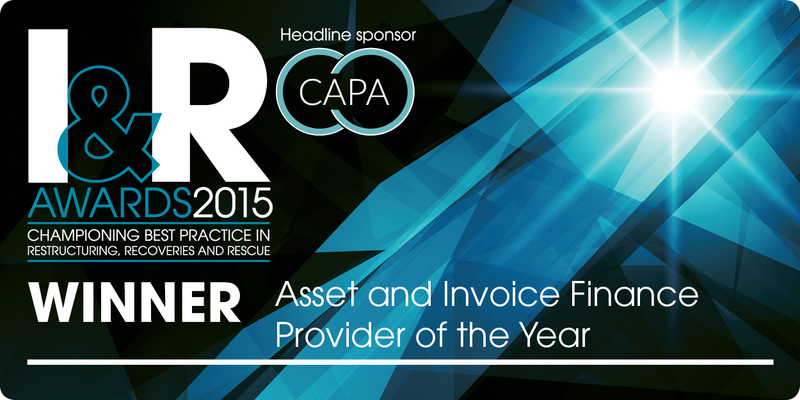 “It was great to be able to support our friends at FRP Advisory in raising money for such a wonderful cause. We are a sporty bunch at Gener8 generally and so it was a pleasure to be able to enjoy some good-natured competition in great company. I was also pleasantly surprised at our team’s finishing position!” Paul Stokes. Gener8 Finance Managing Director. by FRP Advisory. 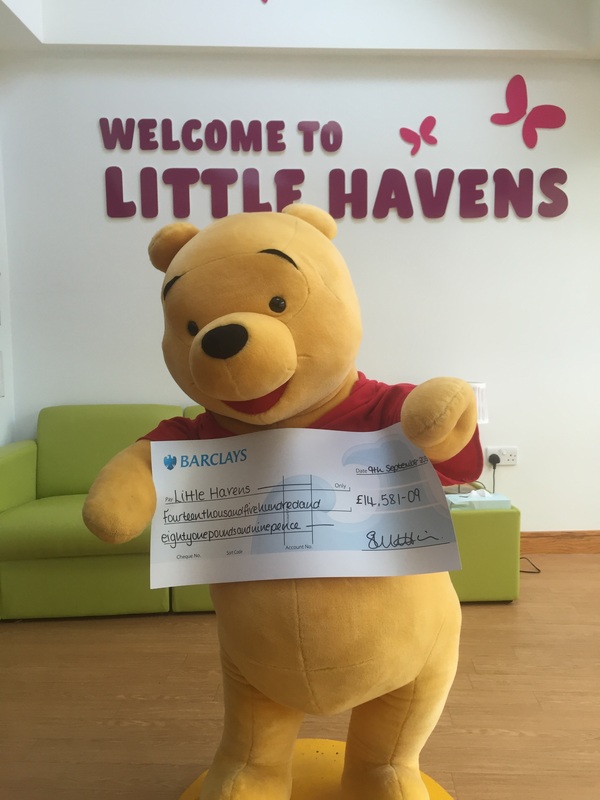 Little Havens will use the money to provide respite breaks, symptom control and end-of-life care to youngsters not expected to reach adulthood because of a life-limiting or life-threatening condition. www.havenshospices.org.uk . The Gener8 team would like to congratulate FRP Advisory on organising such an enjoyable event, and to thank Little Havens Hospice for the fantastic work that they do. 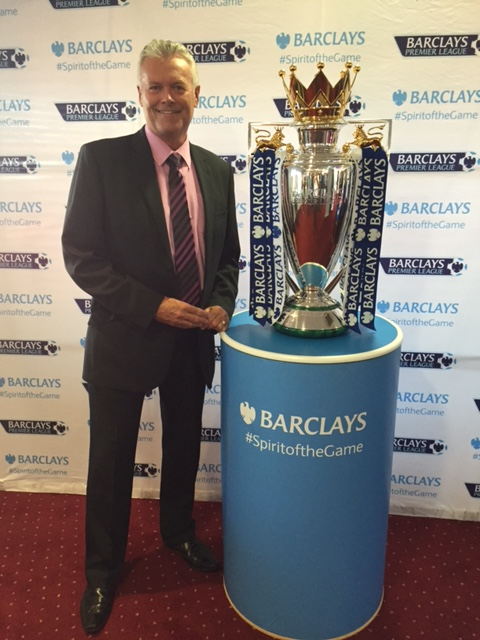 Ian Wedge, Gener8’s Regional Sales Director, mingled with local business people at a Barclays networking event on 22nd July, in bustling Bournemouth. 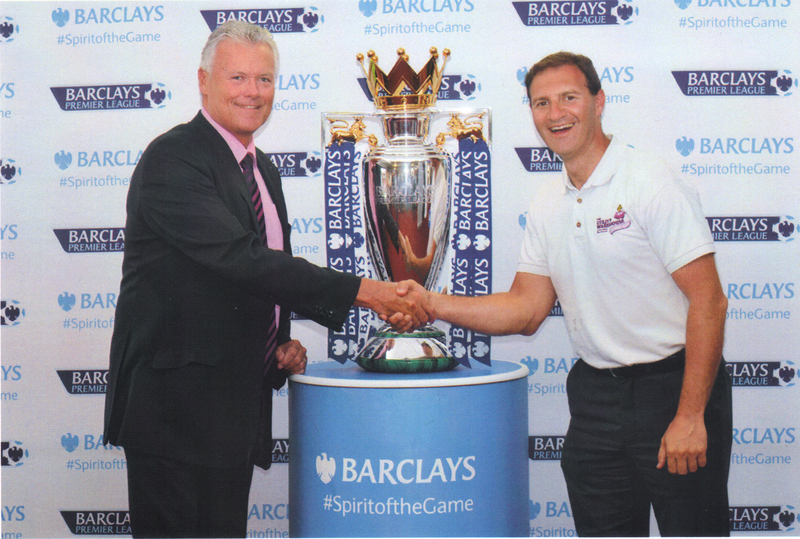 Besides being able to get his hands on the Barclays Premier League trophy in all its glory, Ian was able to meet local Bournemouth business people, including Leon Warner, a Group Leader with Utility Warehouse (www.leonwarner.com). Leon explained all about his current fundraising efforts in aid of Lewis-Manning Hospice (www.lewis-manning.co.uk), a charity also close to Ian’s heart. Lewis-Manning Hospice is a voluntary organisation located in Poole, that offers free specialist palliative nursing care to around 700 local people each year living with cancer and other life-limiting illnesses. Leon is looking to raise £1,000 for the charity by performing a ‘daily press up challenge’. Starting on day one, by doing 1 push-up, Leon aims to achieve his goal by adding 1 extra push up every day. With a goal of 200 and currently on 84 push ups, Leon is set to achieve his target! Inspired by his effort, Ian pledged £100 to Leon on behalf of Lewis-Manning, when he reaches the halfway 100 push-up mark. Ian and the Gener8 team wish Leon the best of luck completing his challenge. On Sunday 14th June David and Paul took on a 140km ride in the Velothon Wales race. Alongside, 15,000 other riders, Dave and Paul began their journey at the heart of Cardiff and embarked on a road cycle route that showed them some of Wales’ most breath-taking scenery. 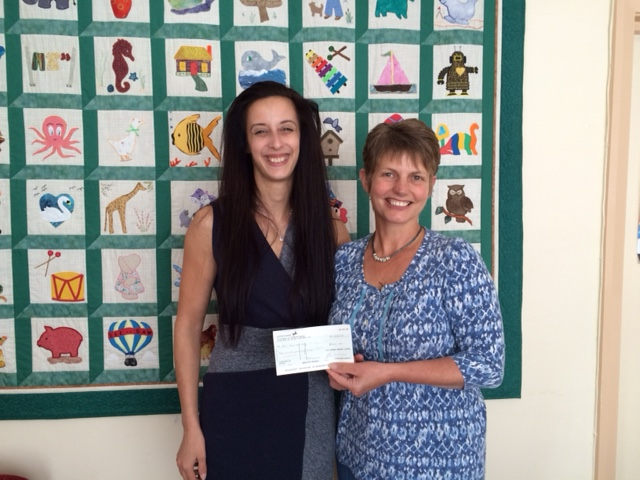 As a congratulations to both on their efforts, and as a ‘well done’, Gener8 have donated £500 each to SeeSaw, a local Oxford charity. SeeSaw provides vital support to hundreds of children yearly, who are bereaved, or are in the unfortunate process of being bereaved. SeeSaw is currently celebrating its 15th anniversary, and has to date, supported over 4,300 children and young people in Oxfordshire. When meeting the team, Gener8 were able to see first-hand how SeeSaw help children, including learning more about the services they provide. Services included; grief support for younger family members, specialist support for the wider family, and group meets for children who have suffered loss. 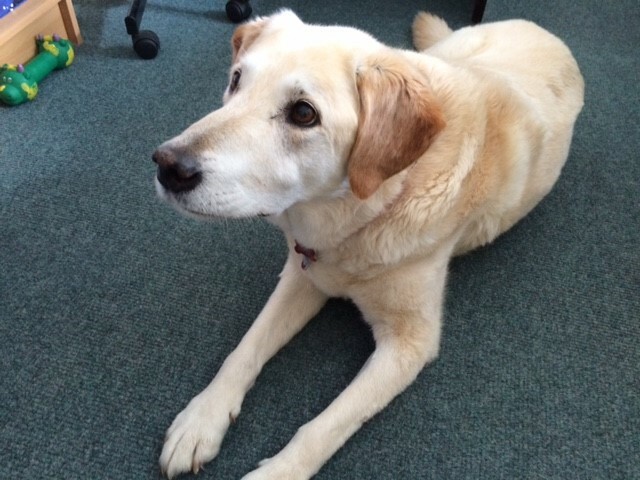 We were introduced to ‘Do Good’, a friendly golden retriever, and a key member of the SeeSaw team, who plays and supports the young children that they help. The team at SeeSaw, including Kathy Moore pictured right, along with Do Good, are often faced with difficult situations that families look to them for support. The team have over 15 years’ experience of helping young children in those critical moments that could have a positive effect on a child’s life now, and in the future. As a registered charity, SeeSaw relies on its own fundraising for over 85% of its grief support costs. The cost of running the service is approximately £300,000 a year for which they depend on widespread support from individuals, local communities, businesses and trusts. To mark their 15th anniversary, Seesaw have launched a 15th Anniversary Appeal where people can donate on-line towards the charity’s vital work. 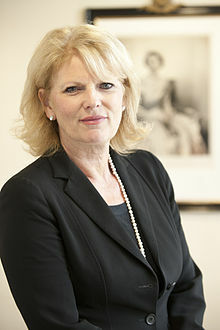 Please click here to help bereaved children in Oxfordshire. Gener8 support a variety of charities in Oxfordshire as part of its commitment and promise to support local communities and business, and are really pleased that SeeSaw is one of the local charities that it could help. Racing to Gener8 some cash! 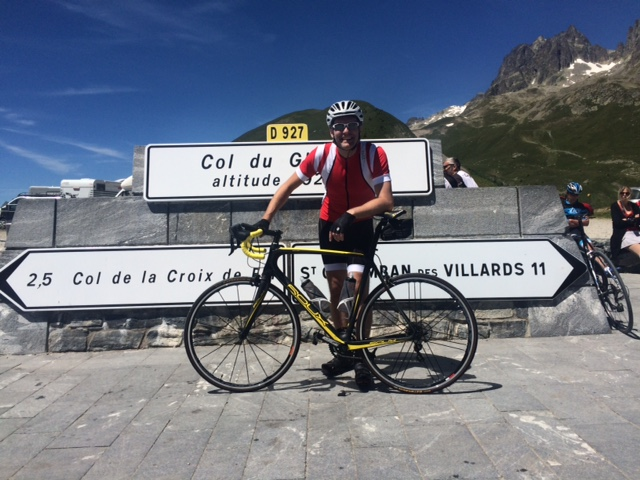 Gener8 Finance’s newly appointed Managing Director, Paul Stokes, is set to race in the 23rd edition of L’Etape Du Tour, on July 19th 2015 in the French Alps, in aid of charities; Help Harry Help Others and the Teenage Cancer Trust. 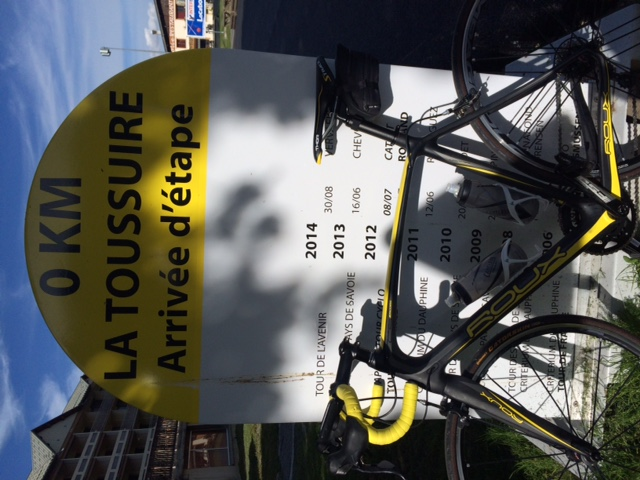 L’Etape Du Tour was established in 1993 to allow amateur cyclists, such as Paul, to test their legs on the route of one of the mountain stages of the Tour de France. This year’s 148 km course involves over 4000 vertical metres of climbing in anticipated temperatures of 30 degrees – an incredibly difficult challenge. 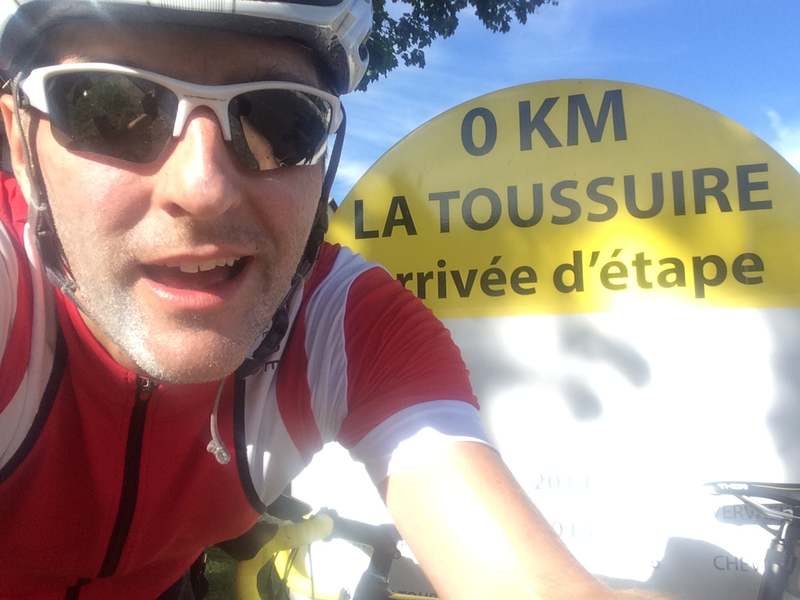 Beginning in Saint-Jean-de-Maurienne, the route will take Paul through many scenic locations, not that he will have much chance to take in the views, as he cycles up 4 legendary Tour De France climbs – Col Du Chaussy, Col De La Croix De Fer, Col Du Mollard, and finishing at Ta Toussuire. Losing over 2 stones in weight, burning in excess of 97,360 calories. Over half a million pedal revolutions on the indoor Wattbike trainer. Having recently been out to France on a training ride, he is fairly confident that he has done sufficient training to get the job done. Paul was keen to use a challenge of this magnitude to raise funds for charity. He asked his 2 boys Dylan (13) and Reece (10) to select the charities they wanted their dad to support. Paul says “I am proud of my boys that they chose not 1 but 2 amazing causes for me to raise money for – Help Harry Help Others (www.hhho.org.uk), and Teenage Cancer Trust (www.teenagecancertrust.org)”. Help Harry Help Others was started by the incredibly brave Harry Moseley, a young lad from Birmingham. Whilst battling an inoperable brain tumour himself, Harry was inspired to make a difference to all people with brain cancer, by raising money and awareness, making and selling his world-famous bracelets and organising nearly 100 events. Tragically, Harry died in 2011, aged just 11, but his legacy lives on and Paul is looking to raise as much money as possible in his memory. Similarly, Stephen Sutton was an incredibly heroic young man who, before he died from cancer at just 19, raised millions for Teenage Cancer Trust. Famous for his indomitable spirit, characterised by his trademark “thumbs up”, Stephen’s bucket list of 46 things that he wanted to do before he died touched the nation. Paul says about the charities “both Stephen Sutton and Harry Moseley were 2 very brave lads, and when I am having a tough time in training, their stories put everything into perspective and give me all the inspiration I need to keep going”. With such a large challenge ahead, Paul has been supported by British bike designer and supplier, 2X2 Worldwide Limited (www.2x2worldwide.com), the Warwickshire based supplier of the Roux range of road bikes. In addition to the Roux range, 2X2 also design and supply Land Rover branded bikes. 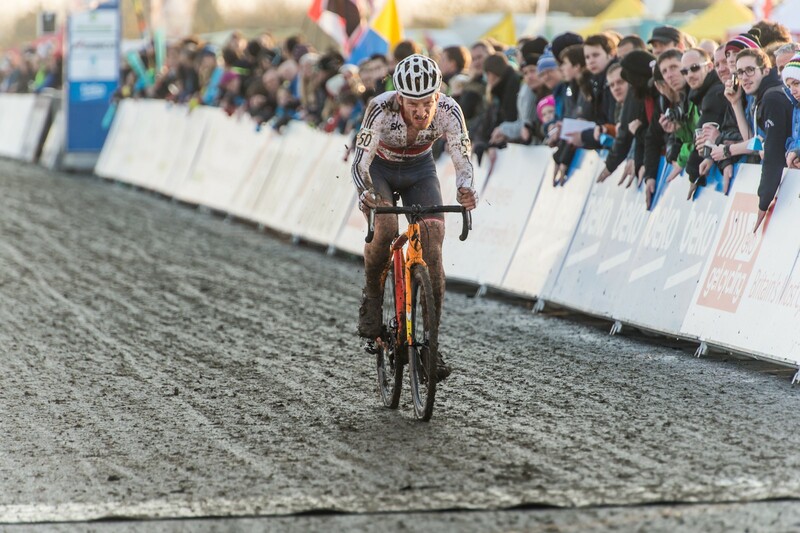 Paul is proud to be flying the flag in France, riding a British bike brand. Paul will be using Make A Donation (make-a-donation.org) to collect sponsorship money. Make A Donation is an on-line charity donation website that passes 100% of sponsorship money to charities with no fees, commissions or deductions made from funds raised whatsoever. Paul comments, “using Make a Donation makes complete sense – not only do my chosen charities bank every penny donated, the people who donate also receive rewards as a thank you for their generosity. It’s a complete win-win”. If you would also like to support Paul and his chosen charities, please visit http://www.make-a-donation.org/fundraisers/paul-stokes to make a donation. Alternatively, if you would like to learn more about how you can support Paul’s challenge or find out more, call 07557 303333.